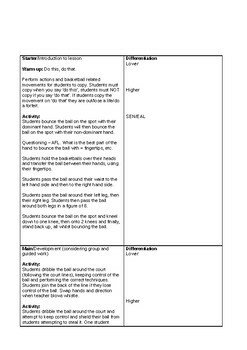 This is a full lesson plan for Year 7 Boys basketball, focusing on ball familiarisation. This is the first basketball lesson of the year and will enable teachers to assess students’ starting ability and current skill set. Please note: This is a basic lesson plan. More detailed lesson plans with coaching points and questions can be purchased.